At the Johns Hopkins Applied Physics Lab in Fulton, Michael McLoughlin and his team are developing the next generation of prosthetics. But the real story is only slightly less incredible. Advances in body armor mean that many people who would have been killed by IEDs in Iraq and Afghanistan now come back alive, but missing a limb. APL is making them a new one. With its built-in swappable battery pack (forearm) the Modular Prosthetic Limb weighs about as much as a real human arm. The brains are in the hand to facilitate partial amputees. So when the cyborgs come for you, remember to aim for the hands. 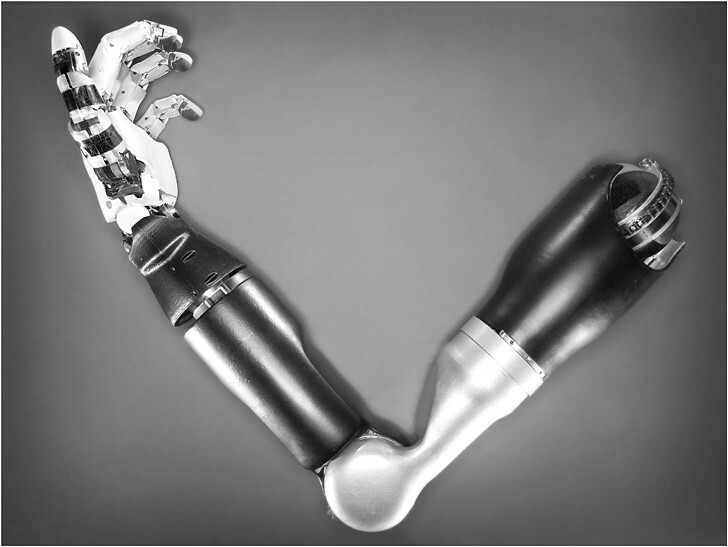 The limb articulates in 22 of the 27 ways a real arm can. It can curl 50 pounds, something I cannot do with one arm. And it is controlled by the mind of the person wearing it.